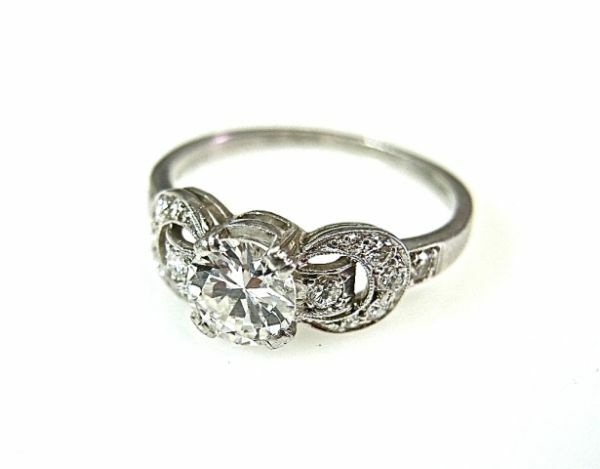 A stunning Art Deco platinum mill grain ring with 1 round transitional cut diamond, est. 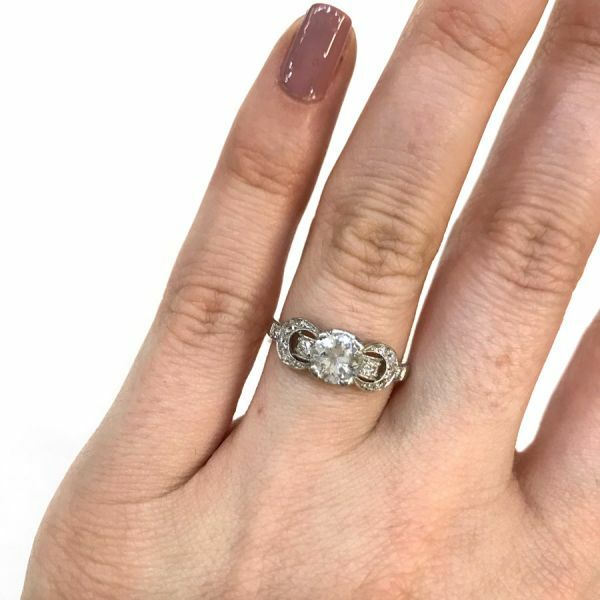 0.74ct (colour: F-G & VS1 clarity) and 14 round brilliant cut diamonds, est. 0.34ct (colour: G-H & VS-SI clarity).